SpectroMagic ended it’s current run last night, we spent the last 2 evenings at the Magic Kingdom to say goodbye and to get photos and video. 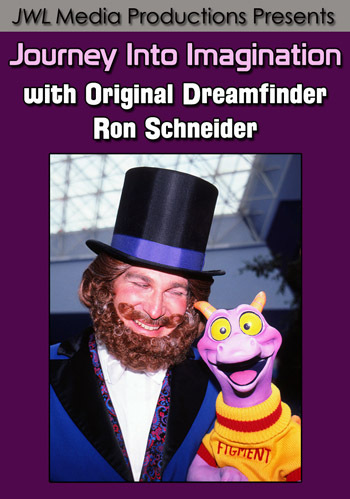 I was in attendance for Spectromagic’s premier showing on October 1st, 1991 during Walt Disney World’s 20th anniversary celebration. 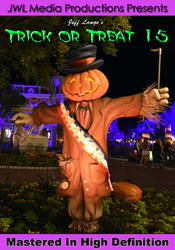 I thought it’d be fitting that we be there for the final showing before the return of the Main Street Electrical Parade. 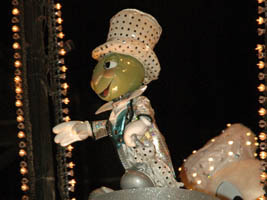 The SpectroMen signaled the start of the parade (below, left). 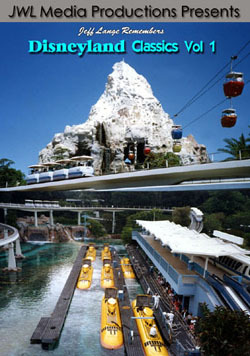 The classic Walt Disney World logo is shown (below, right). 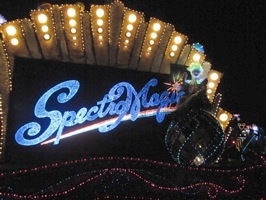 One of the SpectroMen poses with the SpectroMagic logo (below, left). 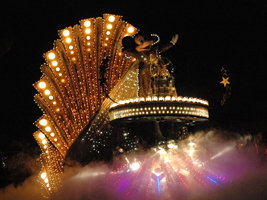 Mickey waves to the crowd from his float (below, right). 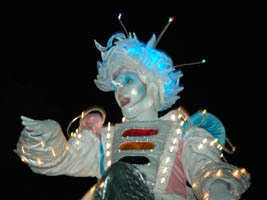 The original SpectroMen (below, left) featured hard plastic glowing faces. 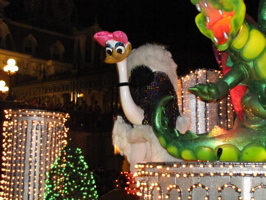 They were changed to the current face characters (below, right) in 2007. 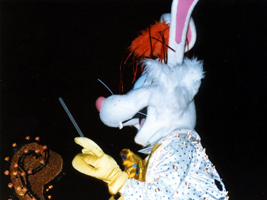 Roger Rabbit (below, left) originally conducted Goofy and the Magic Harp. 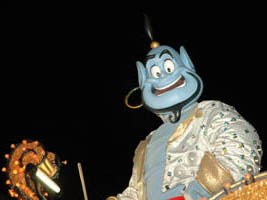 The Genie (below, right) replaced Roger Rabbit when it returned from it’s hiatus in 2001. 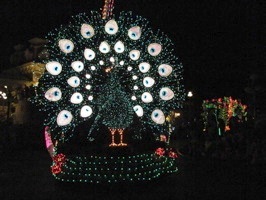 The peacock (below, left) leads the Sleeping Beauty garden unit. 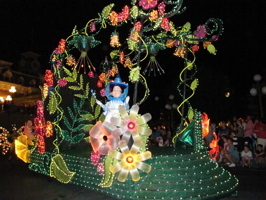 Merryweather (below, right) poses in her floral float. 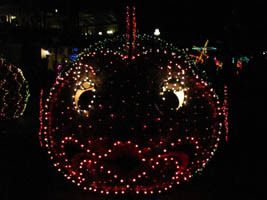 The bubble fish (below, left) approaches and reminds me of the Main Street Electrical Parade’s Lightning Bug and Twinkling Turtle (below, right). The bubble fish used to blow real bubbles. 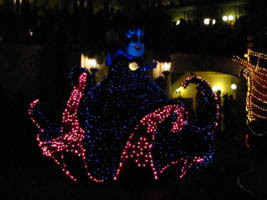 Ursula (below, right) approaches while menacing the crowd. 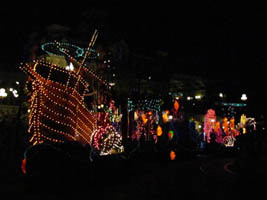 The Little Mermaid float is next (below, left), representing Prince Eric’s ship. 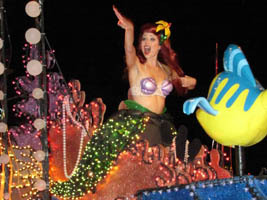 Ariel (below, right) waves to the crowd as Flounder looks on. 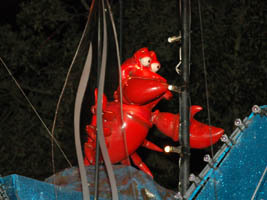 Sebastian the crab (below, left) was one of the first animatronic figures to be included in a Disney parade. 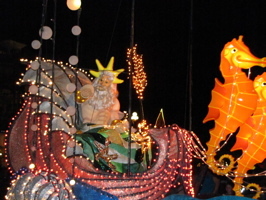 King Triton (below, right) greets the crowd. 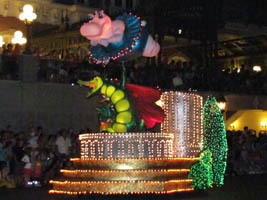 The Fantasia section (below, left) begins with the spinning hippo and ostrich float (below right). 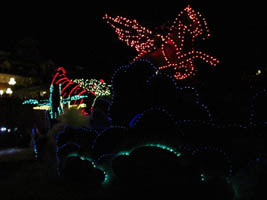 The mythological flying horses (below, left) seem to rise out of the clouds. 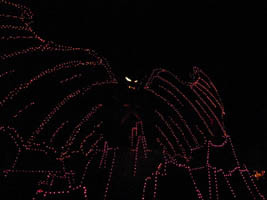 Chernabog emerges from his wings and glows red while blowing smoke out of his head (below, right). 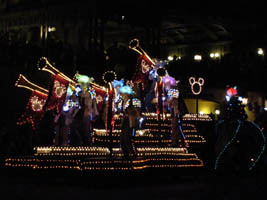 The finale features the Three Little Pigs with paintbrushes as they transform the remaining floats into color and back (below, left and right). 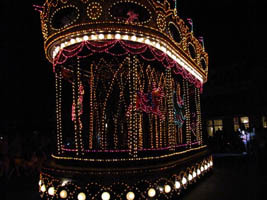 The carrousel float (below, left) features Dumbo and other Disney favorites. 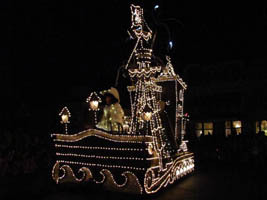 Captain Hook (below, right) waves from the Villain’s pirate ship. 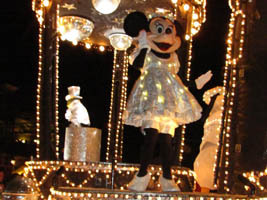 Minnie Mouse (below, left) and Jiminy Cricket (below, right) wave goodbye as the parade comes to an end. I haven’t been able to get the song out of my head since it ended! “On this magic night, a million stars will play beside us, Cast a spell of light, glimmering, shimmering, carrouselling ‘Round the world tonight, a symphony in SpectroMagic, Pure enchantment lights our way! 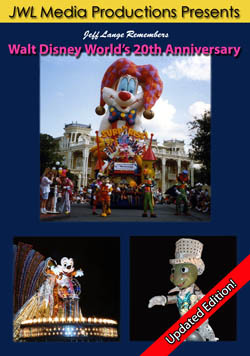 Jeff Lange takes you on a nostalgic trip back to 1991 for Walt Disney World’s 20th Anniversary Surprise Celebration. 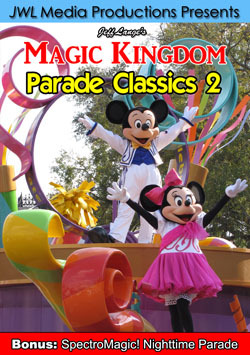 Features: 20th Anniversary Magic Kingdom Tour, Surprise Celebration Parade, Roger Rabbit’s Surprise Show Stoppers, Walt Disney World 20th Anniversary Slide Show, Spectro-Magic (Original Opening Edition featuring Roger Rabbit conducting the Disney band) and a Surprise Bonus Feature: Sorcery in the Sky fireworks! 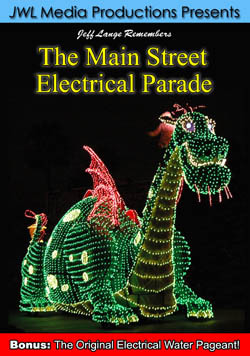 Bonus Videos – “Disney’s Electrical Parade” Enhanced Version from Disney’s California Adventure. 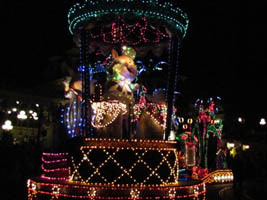 Video #1 – Disney’s Electrical Parade, Disney California Adventure, Summer 2009, Part 1 – With Mickey’s Fun Wheel in the background, this is part 1 of 3 of the entire Disney’s Electrical Parade. 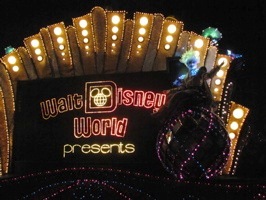 Video #2 – Disney’s Electrical Parade, Disney California Adventure, Summer 2009, Part 2 –The former Main Street Electrical Parade at DCA in July, 2009. 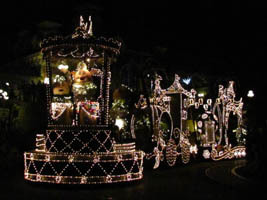 Video #3 – Disney’s Electrical Parade, Disney California Adventure, Summer 2009, Part 3 – Disney’s Electrical Parade which debuts tonight at Waly Disney World’s Magic Kingdom for a summer long run as part of Summer Nightastic! 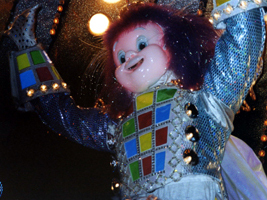 Jeff Lange takes you back to June 14th, 1997 to see this one-time-only extravaganza make it’s way through Times Square. 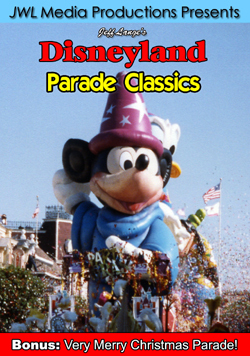 All of the classic floats are here, with the addition of the special Hercules units and fanfare. 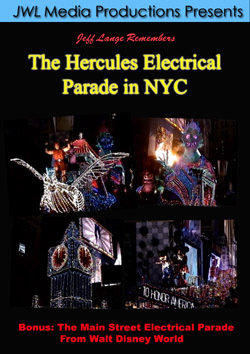 You have never seen the Parade like this! 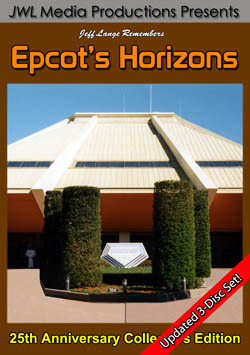 Also included: The Main Street Electrical Parade recorded in 1999 during it’s short return engagement at The Magic Kingdom in Walt Disney World.